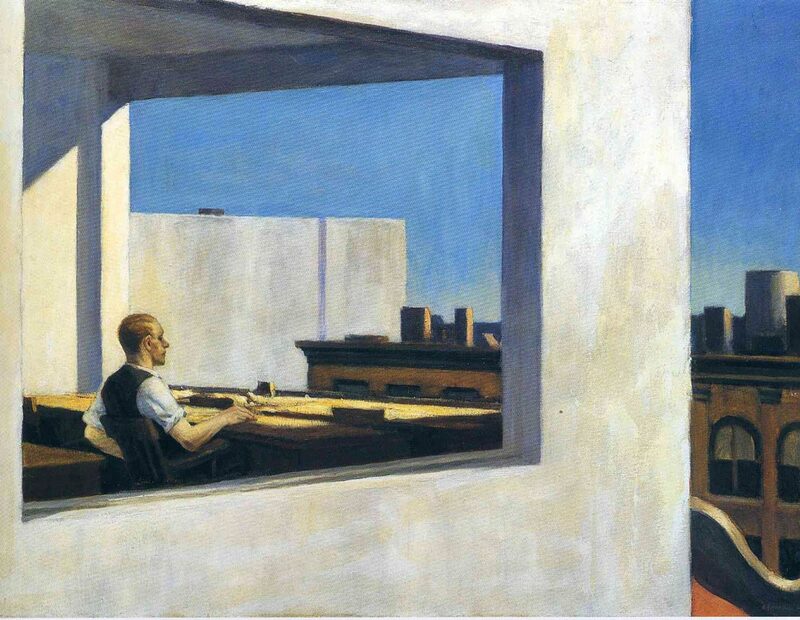 If paintings manifested into musical extrapolations; the celebrated Simon and Garfunkel 1964 folk classic would probably the only sound required as a backdrop to any painting created by Edward Hopper. 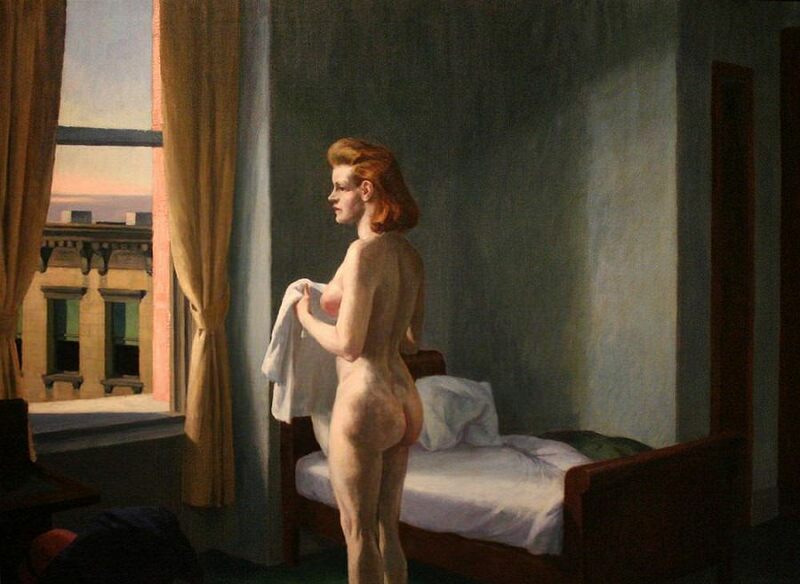 As one of the leading figures in 20th century American realism, Hopper epitomized the somber emotions of a period in history riddled with world wars and the great depression. His work is emotive, somewhat introspective and isolated. Like the titular song – amused to return into the darkness, this sense of solitude is one that looks forward to the sound of silence. Don’t believe us? 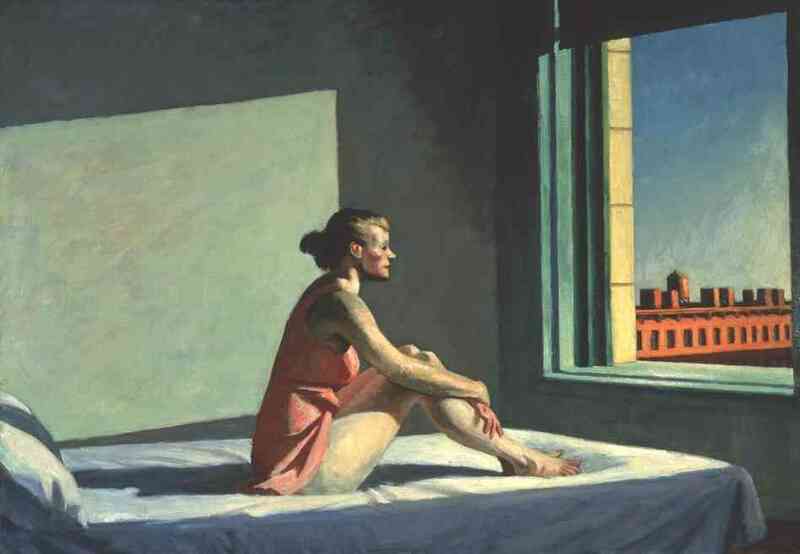 listen to the song while looking deep into a Hopper painting and you are guaranteed spontaneous alignment of all seven chakras – a tad dramatic, but you get the point. 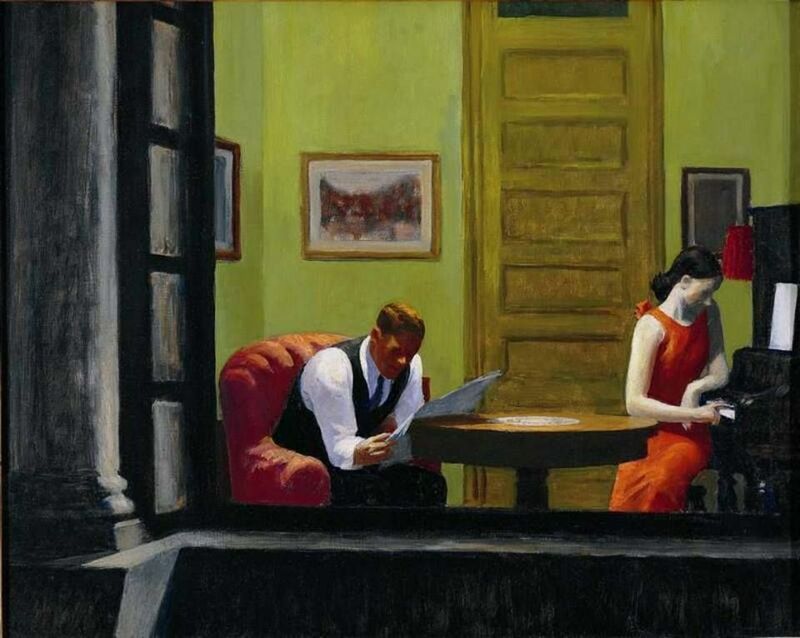 Many of Hopper’s characters seem to be deep in thought and disconnected from their environment, there is never any sense of life, just dead stillness and silence. The characters are always preoccupied by an inward contemplation, staring into the abyss and deep in thought. This sense of solitude is sometimes shared in pairs; bringing back the dichotomy of isolation. 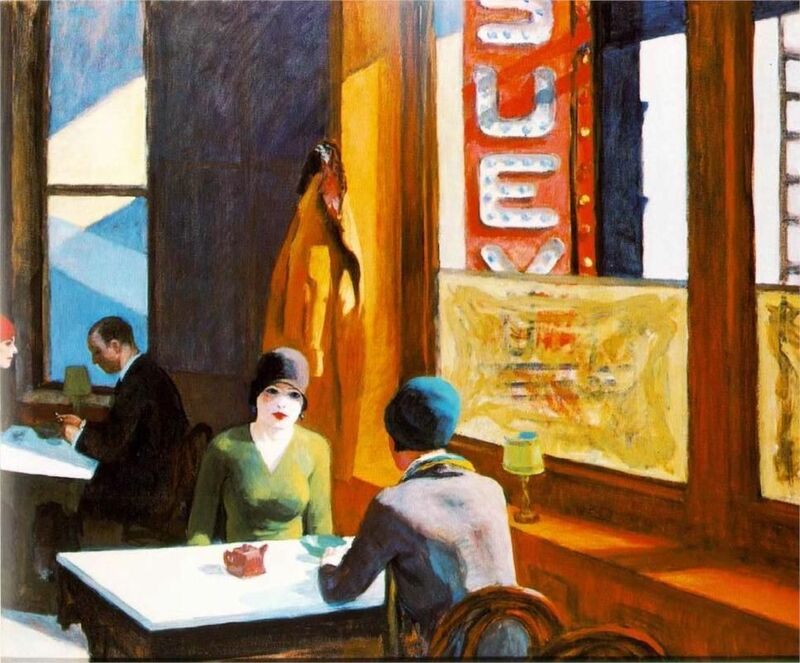 It is evident in masterpieces like Chop Suey, Room in New York and of course the iconic, Nighthawks. 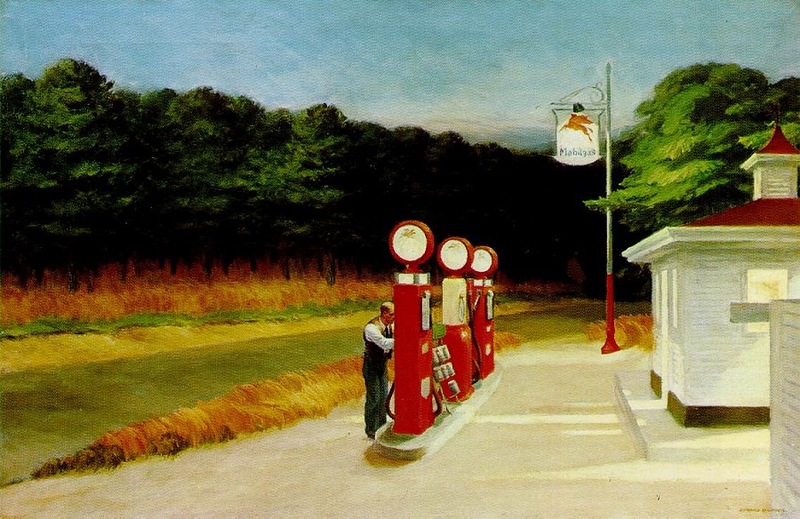 In works such as Gas and Automat, Hopper depicts complete isolation; where his characters appear to be the only form of life for miles – an emotion that is rich in many of his work. Most of these are depictions of females, largely modeled by his wife Josephine Hopper and usually in a vulnerable state of introspection. Automat, one of his most famous works captures a young lady who appears to be in refuge from the cacophony of a bustling city street, lost in a solitary state of retrospection. From a different lens it captures a lonely and despondent lady, seemingly stood up on a date and wallowing in a state of melancholia. 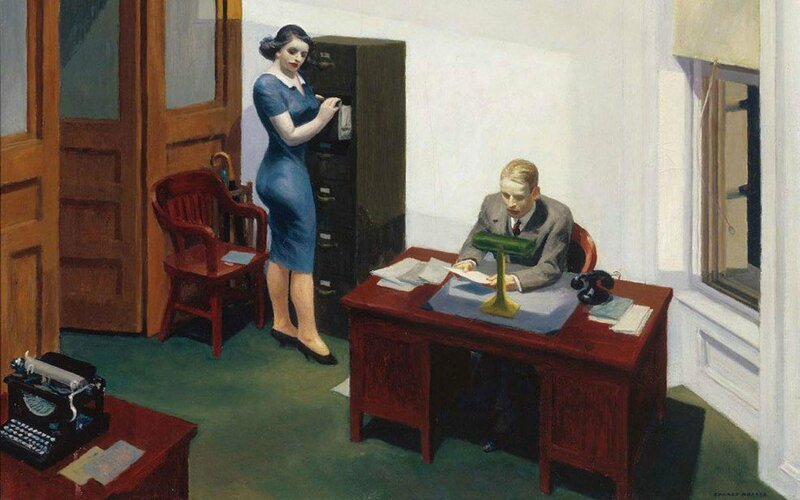 Either of these narratives could work, and that is the beauty of Hopper’s paintings, it leaves space for the emotion of its observer to be complete. 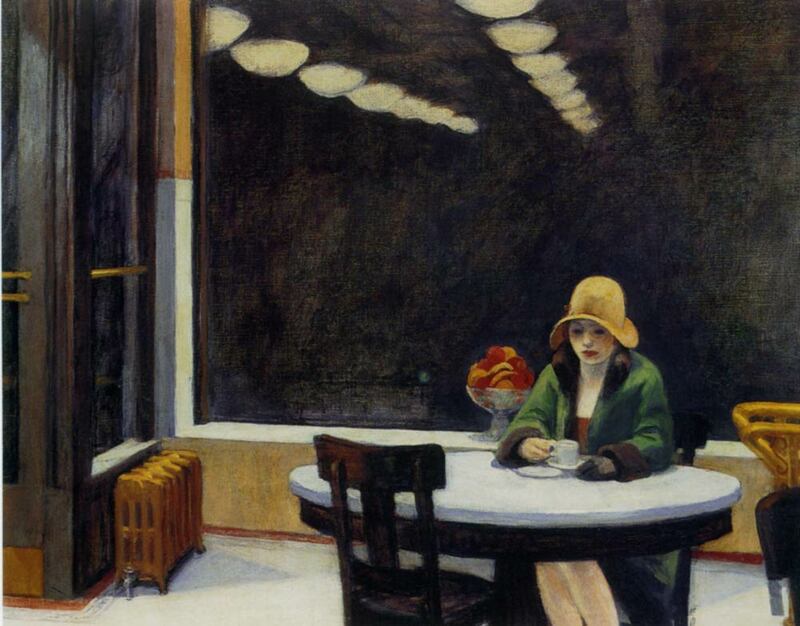 Whether loneliness or solitude, Hopper’s work conveys isolated figures and evokes an introspection that exists in the subject and the observer alike. Sometimes the same feeling… at the same time.